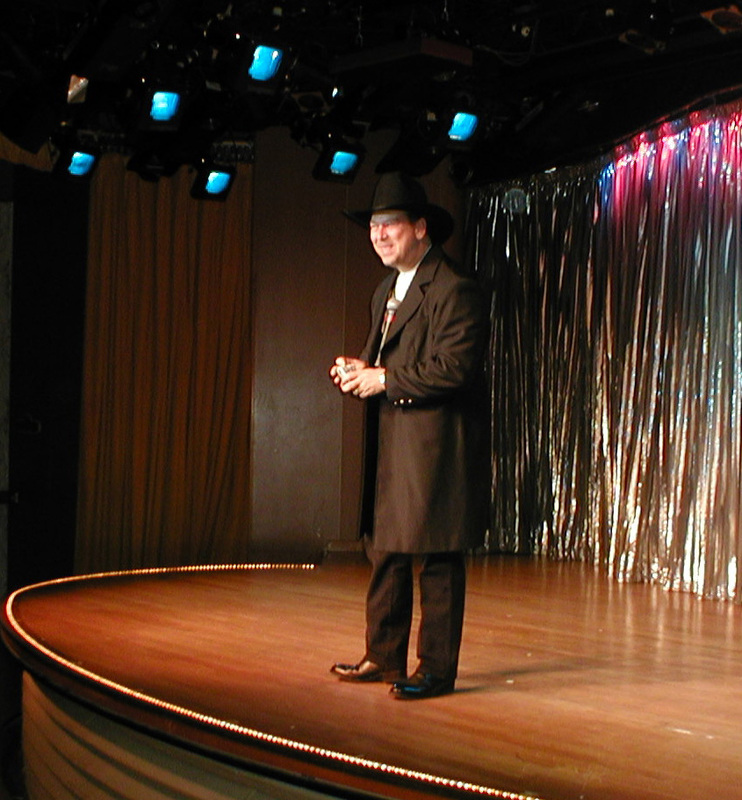 Corporate entertainer and comedy magician Doug Anderson has experience that spans over 40 years, on all continents, in countless performances, in front of Lords and Ladies, Bubbas & Betsies, for over a million folks just like you and your guests. From the famed Magic Castle in Hollywood, to 5-star cruise ships, to entertaining NFL legends Troy Aikman & Pat Summerall at a private function in Texas, award-winning Doug Anderson has the skill, the knowledge, the instinct and the good sense on how to entertain a vast variety of geopolitical and socioeconomic backgrounds. From the boardroom to the ballroom, from the CEO to the dock worker, Doug is a welcome inclusion to your next hospitality suite or barbeque, awards presentation or product roll-out. From cool and sophisticated to casual and corny, Doug will fine-tune his time-tested routines, comedy, costuming, stage dressing and more to help bring your event to a successful conclusion. And, make you look good. Guaranteed.